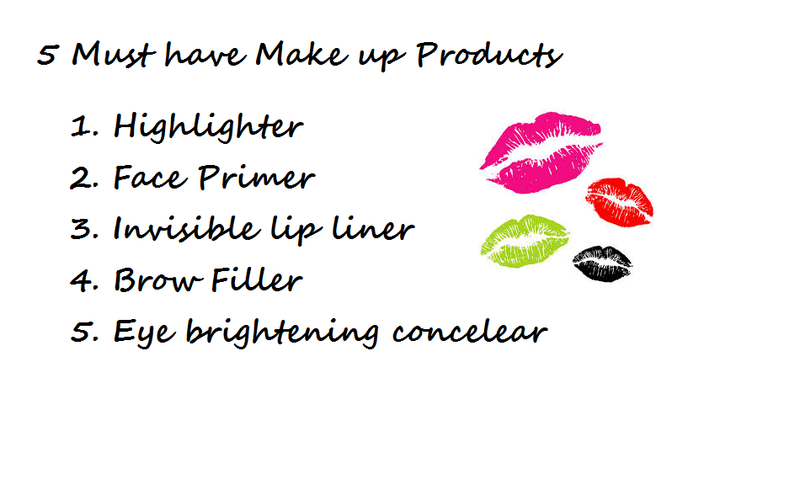 In my opinion, these are the top 5 must have make up products that every girl should have. Maybe you won’t find yourself wearing all of these every single day but you should be at least one or two. Sometimes I won’t even do my make up, but you’ll always see my eyebrows filled! This is not just for special occasion. And I am not talking about shimmery ones either. Those you can leave for those special events. But there are so many face highlighters to choose from that are matte, or have a nice glow to it that are appropriate for every day use. 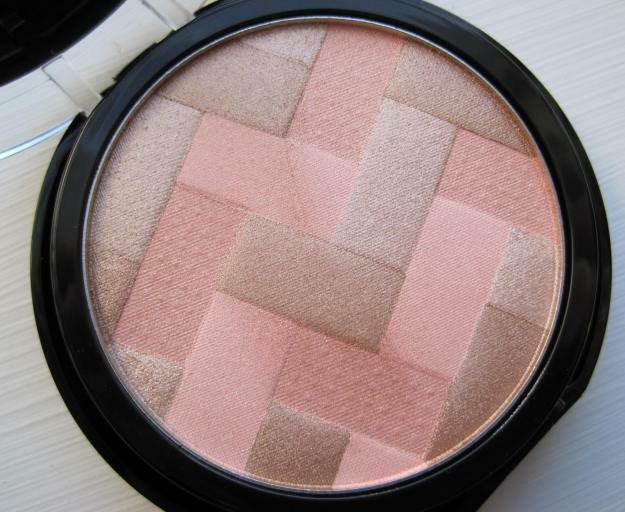 They light up your skin and your entire face in such a beautiful way and give a very soft and subtle glow. As a result, your skin looks super healthy and luminous. The one I use every day is the Maybelline one here. It is extremely subtle and looks very naturally radiating. I don’t leave my house without dabbing a bit of this . I have to admit that I often skip this step when I do use it I see how essential is. First of all, it smooths out lines so your skin looks younger and tighter. Second of all, it helps to apply make up evenly and makes the foundation last longer. The one I use is also by Maybelline. I really like it. I apply it first and let it set in a few seconds before I apply my foundation. So I am not big into lip liners. I don’t like seeing that very defined line framing my lips, however since I’ve discovered clear or invisible lip liners I’ve changed my stance on them. They give you fuller lips and make the lipstick last much longer without being noticed at all. The only one I’ve tried is this one here by Revlon ColorStay and I really like it. Ok, so I understand that some ladies do not want to fill in their eye brows out of fear of looking unnatural. But most of us are not blessed with full even eyebrows. They could be shorter in the front, missing towards the end and with patches throughout. No one told you to use a pencil and draw them on. But there are gels, powders, markers, all different types of products that you can use to fill in where you need to fill in while looking natural and definitely not like a clown. Eyebrows are the most important feature of your face!!!! They can make you or break you. Here are some NYX markers I use that I really like. I have dark circles. I am sure some of you do too. It is a common thing. But nothing a little concealer can’t fix. Just dab a few dots of it under your eye and use your finger to blend in. It makes such a big difference. Your eyes look more open and brighter and your entire face livens up. 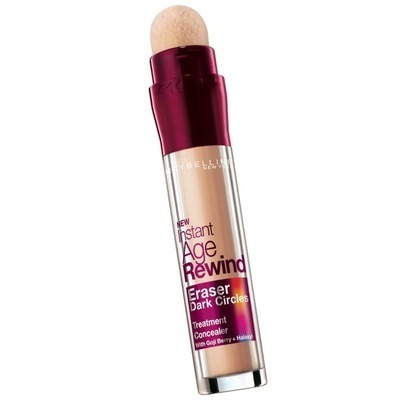 I really like this one here, yet again by Maybelline Age Rewind and even though it has this sponge applicator I still use my fingers to blend it. So do you guys agree or disagree with my list? What products you find you MUST have and wear? I’d also add mascara to this list …..Do share! Glad to hear! I actually wasn’t too fond of the maybelline highlighter. I thought the product pay off was bad. But it’s actually perfect for every day. At night I’d use a little something more pigmented but I love it for work and just out and about. I used to never use primer but I’m glad I do now.. I love the flawless smooth look I get from it:) I use Glorious Primer by Younique:) 🙂 Great info! Same here 🙂 I did not wear it for years and still skip it from time to time but you can really tell a difference when you put the primer on first. Just like you said, it looks flawless! I must have primer and highlighter also!! Highlighter is everything. Gives your face life. Thanks Telma 🙂 oh I was actually looking at the push up bra for brows yesterday and thought of getting it. So you like it? It’s good?